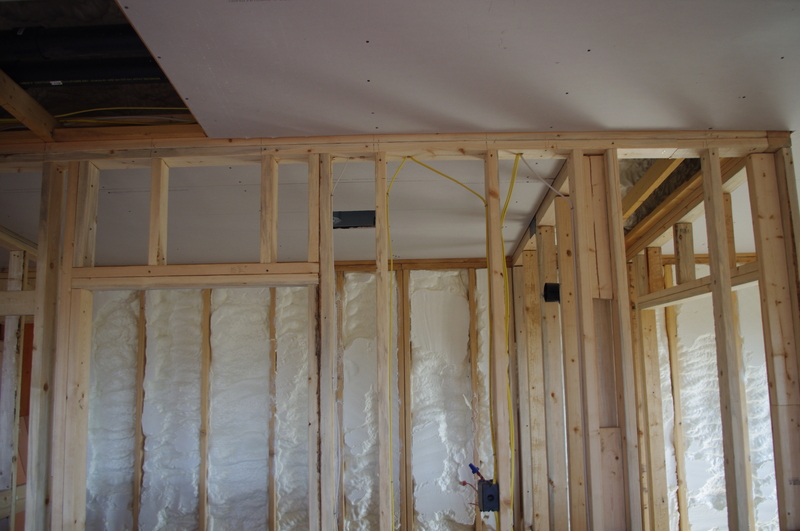 Now we’re working on the drywall installation, ceiling first. And yes, it is quite tough holding up those boards to secure them. 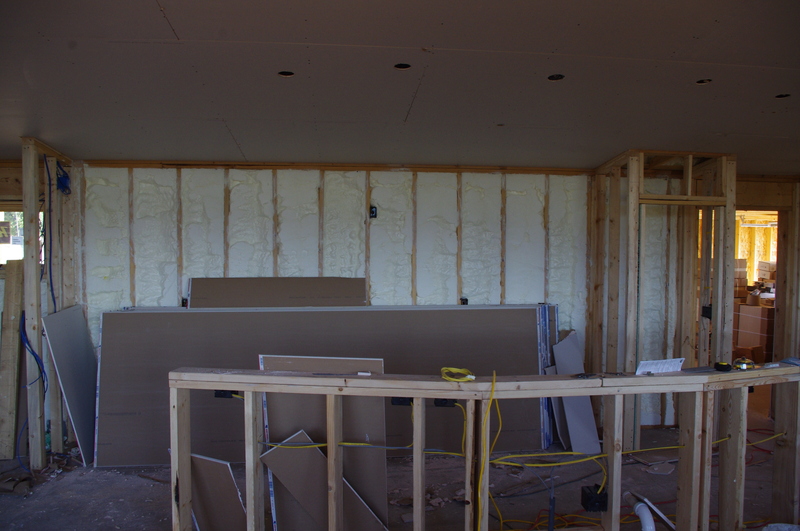 Can’t wait until the drywall is up, taped and textured! 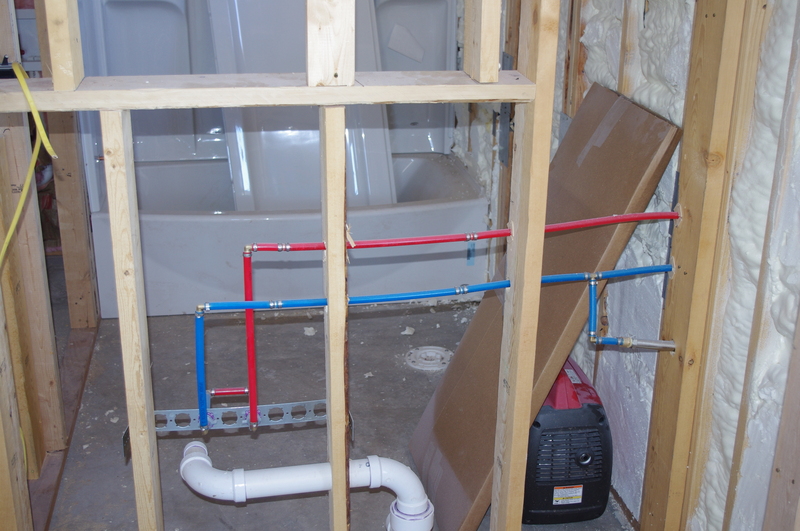 Then we can begin the fun part, finishing the kitchen and baths with cabinets and tiling! We picked some nice charcoal-colored tile for the main floors. It should absorb the solar heat beautifully in the winter, and then our insulated 6 inch slab should hold the heat a long time. 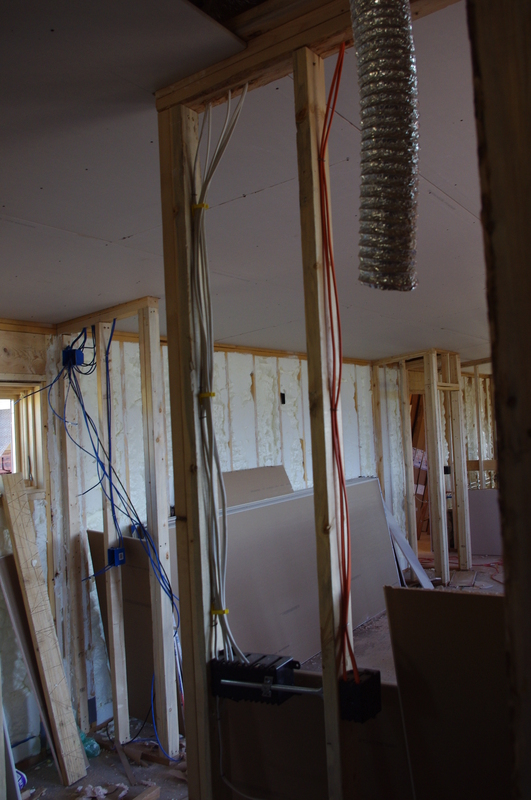 As you can see, home construction is NOT for the faint of heart! Who knew there were so many steps and stages to this complex process? Certainly not me! ← Health obstacles and home PROGRESS!